Okay, maybe you don’t need directions on how to make a sandwich, but we just thought we would give you outline on how we do our grilled cheese in our air fryer. 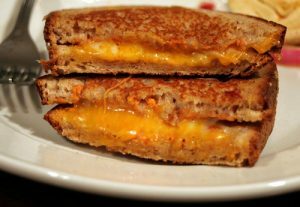 Plus, share with you this list of 50 ideas for a more complex grilled cheese 50-grilled-cheese. If you have any of your own ideas, please share them in the comments.